Whilst interview techniques will vary depending on the amount of time you have and the position you are recruiting for, there are some general techniques that we have found are particularly successful at separating the genuine talent from the rest. Most people will have pre-prepared answers for common questions, so you need to prepare some less predictable questioning. You are looking for real evidence of the skills they claim to possess. Behavioural questions ask the interviewee to describe situations where they have actually demonstrated the abilities you are looking for. 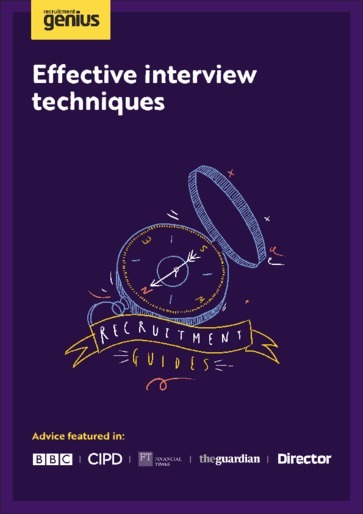 An interview is a two-way communication process to gain an accurate picture of the candidate’s attributes, character and potential fit within the company, whilst at the same time ensuring that you give the interviewee a good impression of the firm. This guide will tell you how.